Nattokinase is an enzyme isolated from Natto, a traditional Japanese fermented soy food. Natto has been consumed safely for thousands of years for its numerous health benefits. 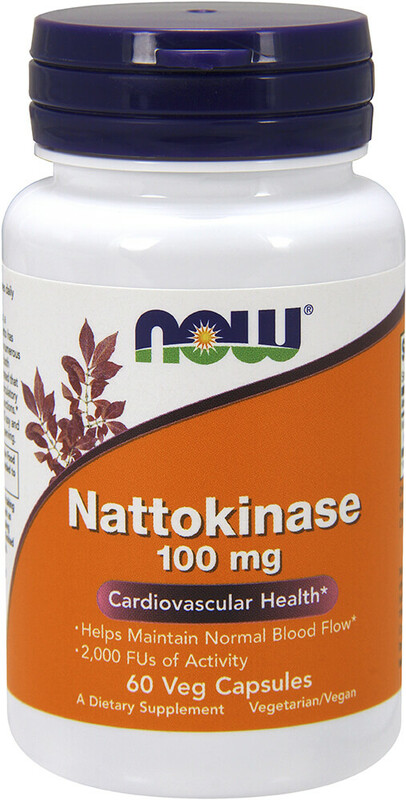 ** More recently, both clinical and non-clinical studies have demonstrated that Nattokinase supports heart health and promotes healthy circulation. ** Each serving of Now<® Nattokinase provides 2,000 FU (Fibrinolytic Units).